Partnerships between two companies are not uncommon in entertainment. A company will often allow a franchise to be used by a development studio, animation house, or publisher, coming to some sort of deal in the process. Usually, this works out well for everyone. The franchise gets to expand to new markets and demographics and the people working on it get to labor on a beloved franchise that many of them have followed for years. 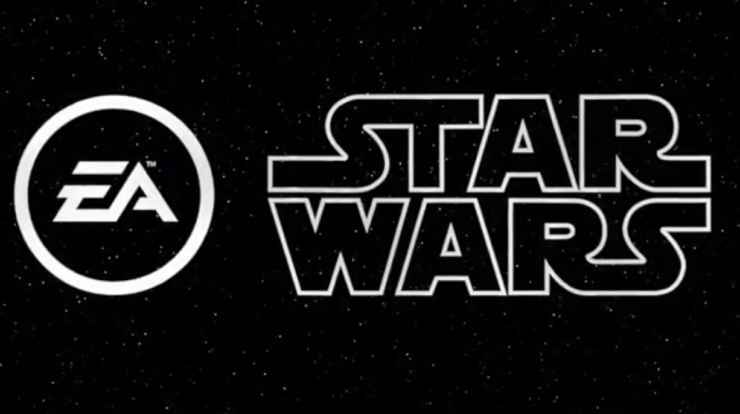 However, the partnership between EA and Star Wars that has been underway since 2013 has just about sucked for everyone involved. No one has benefitted from this deal and that doesn’t look like it’s going to change. What we have got from this partnership is two Battlefront Games, one that was lacking in content and another which was sullied by predatory microtransactions and a broken progression system. 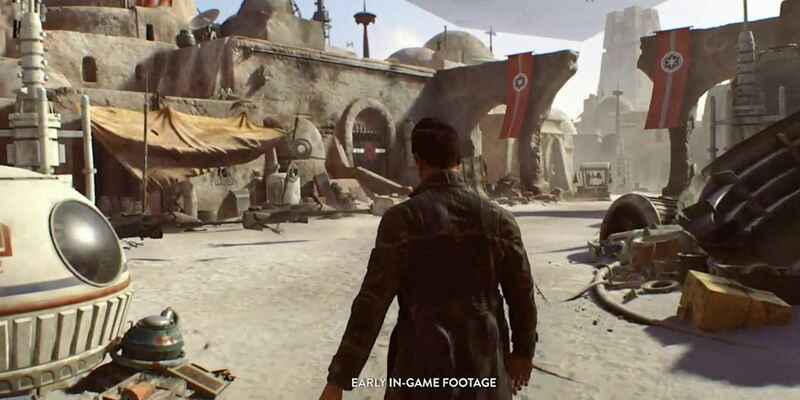 Furthermore, there was the upcoming Star Wars: Jedi Fallen Order, which was announced by a developer sitting in the audience, with no gameplay or information other than the title and the confirmation that “You’ll be playing a Jedi,” at EA’s EA Play Conference during E3 2018. What is happening? The library of Star Wars games right now seems thinner and blander than Microsoft’s first party offering in the last couple of years (That isn’t just a cheap shot at Microsoft because we are a PlayStation focused website). What has EA, the various development studios, and Disney gained from this partnership? Nothing beneficial. How Has EA Been Affected? The most significant way this partnership has affected EA is that it has been detrimental to it’s reputation as a leading third-party publisher. To note, it was already pretty bad when the company signed the deal in 2013. But, since that deal was made the two console Star Wars releases have not put EA on the right side of history. Star Wars Battlefront (2015) sits at a 73 on Metacritic, with IGN calling it “unfocused” and GameRevolution saying it was “Disappointingly hollow“. You also can’t forget the multiple special editions of the game, the season pass, and numerous pre-order bonuses all seemingly trying to swindle people out of money. The consequences of that led to the game sitting at a user score of 5 on Metacritic and numerous YouTubers like the AngryJoeShow making videos criticising you. Battlefront 2 (2017), the game that was supposed to make up for Battlefront (2015) ended up being an even worse release. Every inch of this release was covered in slimy, corporate greed on account of game’s loot box system. That system locked almost all progression behind a randomised slot machine-like system that felt unfair. On top of that, it also allowed people to pay real-world money for gameplay advantages. I am not going to harp on about this much longer as it has already been discussed to death; however, this decision has now left EA back foot of their loot box push to try and win back public favour, removing them from Need For Speed: Payback, clearly and loudly stating they wouldn’t be in Battlefield V, and also not shoving them into Anthem, a game ripe for their implementation. This accompanied with the closure and cancellation of Visceral Games’ Star Wars game, codenamed ‘Ragtag’, and the recent rumours that EA Vancouver’s project has been cancelled leaves EA with the worst reputation I think it has ever had. Nothing about this publisher is exciting anyone at the moment. There is the mess I am talking about now, the last Mass Effect game was rushed out of the door, and Anthem is struggling to look like it is evolving upon what Destiny started back in 2014. EA has its sports games, but that’s as far as it goes. EA really doesn’t have anything that can win back that reputation at the moment. 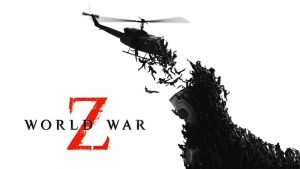 How Have The Development Studios Been Affected? This one is the most disappointing to write about. The studios that have been assigned these games are damaged the most. The most extreme example is with Visceral Games – all 80 employees lost five years of work, some may have even been laid off, as EA never confirmed that everyone at Visceral was able to be moved onto other projects. The people at this studio spent five years pouring their energy and time into ‘Ragtag’ only to have it cancelled and the remaining scraps sent to another studio to pick up. Other studios such as Motive and Respawn are being fed the Star Wars IP and given a framework which they can create a game within. Whilst I doubt they are being told you have to make X, Y, and Z, I can’t imagine EA, a giant company making millions of dollars, are letting these studios create any type of game. No, it has to be a third person or first-person action game, with as much mass appeal as possible and easily able to make revenue. So far nothing we have seen or heard rumours about differs from this. Visceral Games’ RagTag project (pictured below) has been hit the hardest by EA’s mistreatment of the Star Wars IP. These studios are stuck working on an established IP. I’m sure working on a Star Wars project is a dream for many, if not everyone at these studios. But, that IP and the framework EA gives them inherently restricts what these studios can do. We could be getting interesting, innovative, never-before-seen settings, characters and gameplay mechanics set in entirely new universes to discover. Instead, we are stuck in a tired universe with characters and iconography that have appeared far too frequently. Think about how Sony would handle this. According to Bryan Intihar, he revealed on the GameOverGreggy Show that Marvel’s Spider-Man wouldn’t exist without PlayStation. Implying that Sony put its full belief and investment into what Insomniac was creating. A similar story can be said for God of War. 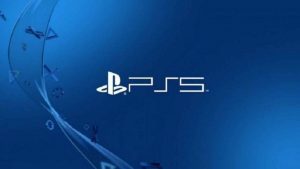 Sony stuck by Santa Monica Studio despite concerns from upper management at Sony that the game was not playing well. EA should really be trying to follow Sony’s lead and manage its projects well and believe in its staff. At the moment it kind of feels like those employees are seen as disposable by EA and any project can just be pivoted to a different studio. How Has Disney Been Affected? 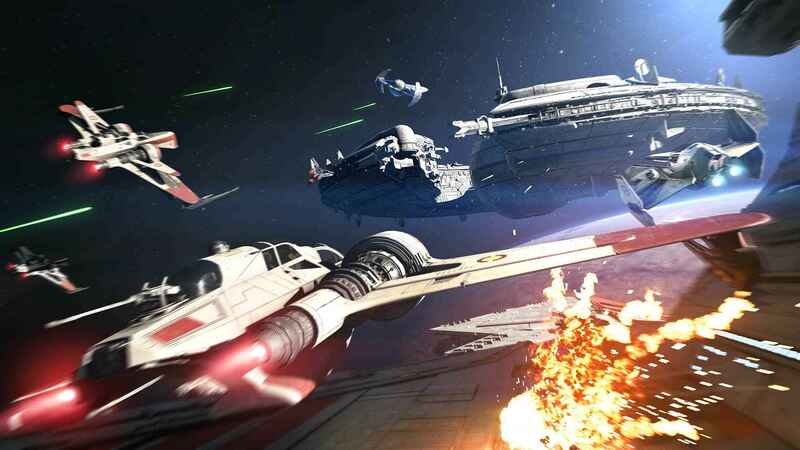 Disney, who owns the Star Wars IP, is currently losing public faith in one of its most widespread and profitable franchises, as a result of these poor releases. This established, multi-million dollar IP has one of the lowest ratings in terms of public opinion. We haven’t had a well-received game since Disney bought the license. And news surrounding this IP in the games industry has never been positive. Think for a second; when was the last time since Battlefront 2’s release did you hear a piece of objectively positive news about the Star Wars games? The answer is there hasn’t been any. The Star Wars IP really needs to leave EA’s hands and be passed onto other developers, not owned by one entity. Everything surrounding this IP in games has either been negative, presented poorly, or shaded in a strange coat of secrecy that makes it seem like EA isn’t confident in what is being presenting to us. This leads on to my conclusion on what Disney should do next. What should Disney do next? The answer: copy Marvel. Disney needs to do what Marvel Games is currently doing. 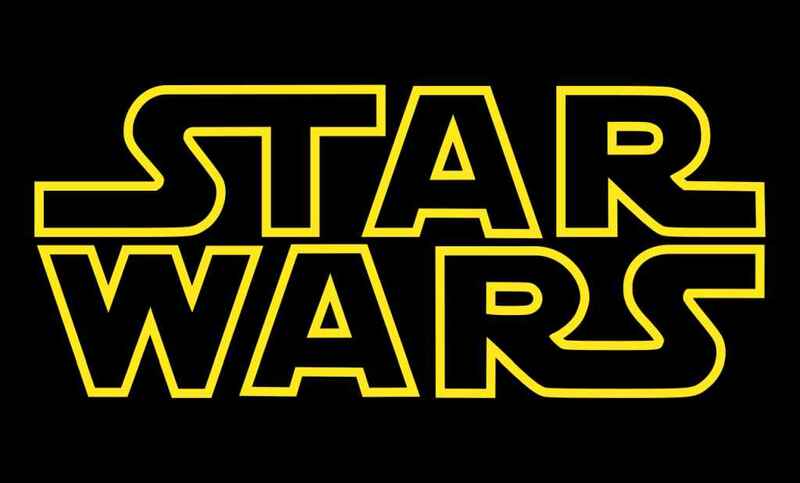 Go to various development studios owned by various companies and see what it can do with the Star Wars IP. I hear you ask, but EA and Disney signed a contract with each other? Yes, and I highly doubt that Disney would be silly and stupid enough to not include a clause within that contact allowing them to end their partnership if EA was found misusing the licence. Disney needs to make a move here, otherwise it will look like it simply doesn’t care about the way its IP is treated. Leaving it to die in an industry it really should thrive in. Taking a trip all around the globe is a magnificent and intriguing dream. We work twenty four hours a day in our office to convert this dream into reality. Still how many really able to earn? We bring to you, this excellent internet based job opportunity made in a way that it helps you to receive good money. Do the job regularly and give your work small amount of hrs and generate up to $26000 each week. It provides you with possibility to work from anywhere with very flexible time and able to devote some quality time with your family. It is time to change your life and bring growth and prosperity. Now go and take a look at, amazing things waiting for you >>> WORK FROM HOME JOBS!! !